Plus, it is legal in banting diets! 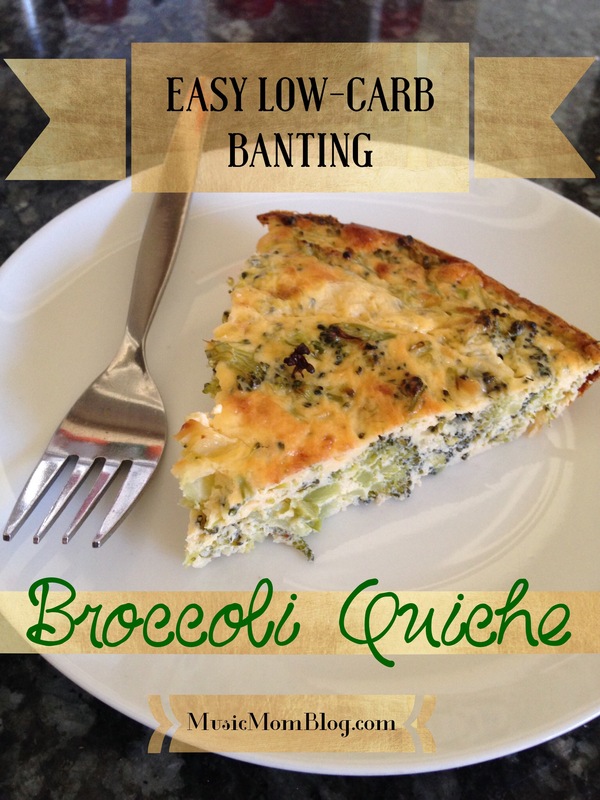 Crustless Broccoli Quiche – low carb, quick and easy! And Banting, too! Most of the work comes in with steaming the broccoli and chopping it. What you do first is to combine the yogurt and eggs well. Add the chopped broccoli and remaining ingredients to the yogurt-egg mixture. Pour into a greased pie dish and bake for about 20 minutes at 180 degrees Celsius or 375 degrees Fahrenheit or until lightly golden on the bottom and on top. I loved this recipe, it was so satisfying served with some grilled fish and vegetables. I am sure you could do variations like using spinach and bacon instead. It keeps in the refrigerator for about 3 days. The nice thing is you can have it at whatever temperature, although I do prefer it warmed up a bit. Comment below if you tried this recipe and feel free to share what variations worked for you. I’d love to hear from you!